Okay so it was very hard for me to just not put the entire gallery on this blog because I love every single moment I captured. So I tried to narrow it down, but still ended up with this HUGE GALLERY to post! This was seriously my favorite wedding of 2018. The locations, the styling, the lighting, little baby Logan!! It was just all too good!!!! We started off their day at Vasquez Rocks to do their first look, and look at how cute they are!!! Mike did full walk around Natalie to check out his smokin’ hot new bride. We did bridal portraits, and bridal party portraits there. All of their suits, dresses, florals, etc. just matched so perfectly with the location. Once we drove up to the actual venue I was SHOOK. The ceremony space was amazing and covered by just the right amount of trees to have light poking through in the most angelic way. Their backdrop was TO DIE FOR and everyone was super respectful during the whole thing (not a single phone to edit out or duck in front of). GOALS. When we went down to the reception area I was just as blown away, if not more. All the decorations were sooo perfect. It matched perfectly with the semi-woodsy feel the venue gave. Their sweetheart table was adorbs, and they put the backdrop from the ceremony behind the table so it stayed in perfect view all night. Everyone partied it up as the sun went down. Outdoor venues are a MUST for me now. It will be hard to do any indoor weddings after this. 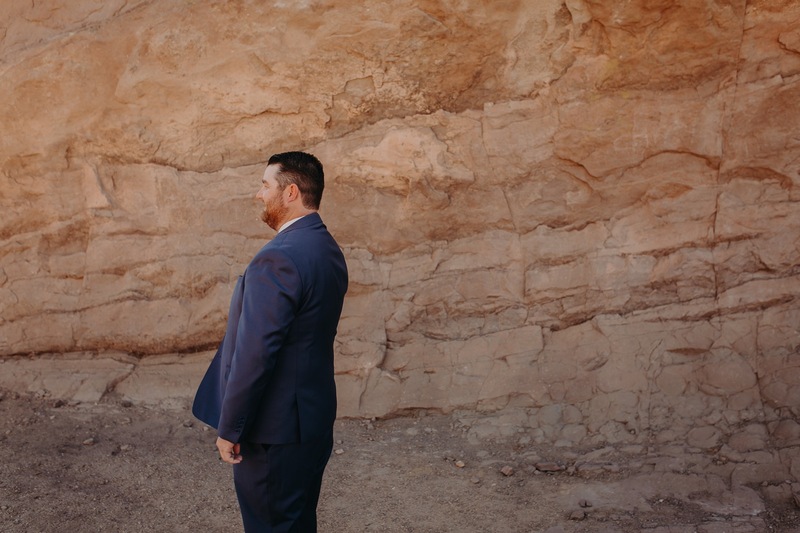 Paige and Jason gave me the honor of shooting their elopement in Yucca Valley at the Desert Cobalt Oasis. It was a photographer’s dream come true!!! This was my first ever elopement and it was in Joshua Tree, which is one of my most favorite places!! Their wedding was so intimate and customized to them. Between having their dog at their side during the entire ceremony, to having a create your own taco bar for dinner, I was blown away at how simple and elegant this whole ordeal was. It gave me a whole new perception on getting married. You don’t need fancy expensive decor and vendors, you don’t need 100 guests, 80% of whom you probably haven’t talked to in 5 years. You just need those who matter most to you, and you can make the most of it. My favorite parts of this day were when Jason serenaded Paige with the song of the band that was playing during the time he proposed to her. He sang and his groomsmen played the instruments. Also, they played a slideshow that was centered around all the pictures they took together while dating. I legit started tearing up myself. It’s safe to say a lot of us were tearing up that day, but in the words of the fun guys I met on this gorgeous sunny day, it was just so goddamn dusty out there!